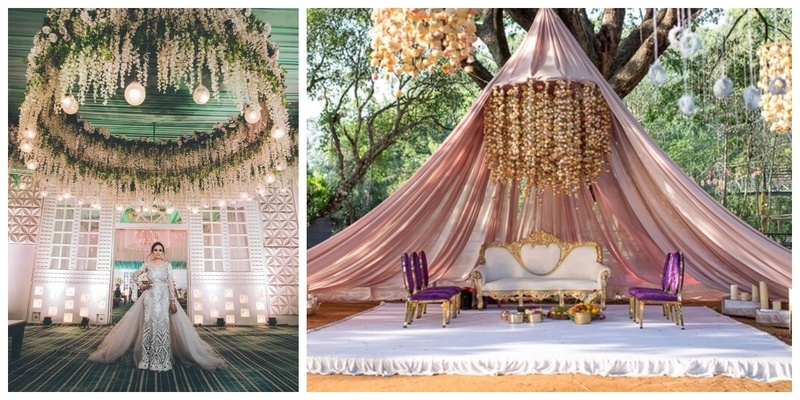 #trending- Floral Chandeliers are the new eye-catchers in wedding decor this season! 4. Floral chandelier with a botanical touch for the nature lovers! 7. Modern spherical chandelier made with calla lilies! 8. Floral chandelier so pretty that it looks like an upside down cake! 9. Floral spin on the wheel! 10. Get ready with your groovy moves for this halo chandelier with a funky disco ball! So are your idea buckets overflowing already?